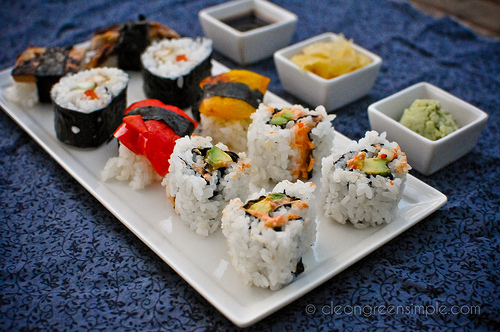 Several delicious options for vegan sushi rolls, including Nigiri, Maki, and Uramaki. I like sushi, but my husband Andrew reaaaally likes sushi. It’s really one of the few things he misses since becoming vegan. Most places do have a couple of veggie options like avocado and cucumber rolls, but it’s just not the same beautiful spread of colors, is it? At least not at any of the places I’ve been. I’ve tried making homemade sushi rolls a few times, and always found it to be a bit underwhelming because I stuck with the same fillings I’d seen at restaurants. Avocado and cucumber rolls are good and all, but in my world half the joy of sushi is how pretty it can all look on the plate, and the veggie options are usually just kind of boring and green. So I decided to get serious. I armed myself with a ton of vegetables and decided to just go to town and make sushi until I figured out which ones were good. And…not only was it good, but it actually earned me a coveted spot on the “things Andrew takes photos of with his phone and shares on Facebook because they are so awesome” list! And vegan California roll! CA roll was definitely my favorite type of sushi, and I know it’s pretty popular among people who can’t quite work themselves up to whole hunks of raw fish, so I definitely missed it once I stopped eating fish. For those of you who are unfamiliar, it’s usually made of a piece of imitation crab (and “imitation” does not mean it’s fake meat, it just means it’s whitefish pretending to be crab), a piece of avocado, and sometimes a bit of cucumber wrapped in a roll of rice and sushi seaweed (nori). There’s actually two kinds of CA roll I’ve run across – the kind with a hunk of solid imitation crab or whitefish, and the kind with a sort of “crab salad” mixture of imitation crab and mayonnaise. For this experiment, I went with the mixture style because it seemed easier to figure out, but now that I’m on the homemade sushi train I’ll totally try to figure out the solid version sometime as well. Any suggestions would be appreciated! From the top: Teriyaki Tofu Nigiri on the left, Mushroom Nigiri on the right (I love how much this one looks like squid or octopus or something…without being all, you know, gross), then Teriyaki Tofu and Red Pepper Maki rolls on the left and right, then Roasted Red Pepper Nigiri on the left, Roasted Yellow Pepper Nigiri on the right. The bottom four are all California Roll (Uramaki). The stuff in the little bowls is gluten-free soy sauce, ginger, and wasabi paste. Almost everything was either roasted (all at once on a cookie sheet under the broiler for about 5-10 minutes) or just raw and sliced. I ended up with a lot more fillings than I could use because I didn’t make enough rice (oops), but we just had them as an awesome lunch bowl the next day so nothing went to waste. That’s roasted eggplant and butternut squash on the bottom left, and I didn’t get photos of them all assembled, but they were awesome as sushi, too! 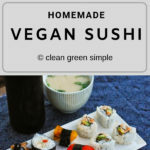 This post is already getting long, so let me cut to the chase and show you how to roll sushi, and then give you some recipes already! Rolling sushi is a lot easier than I expected, if you have a sushi mat (you can get them pretty cheap online, or they are like a dollar at Asian markets, so it’s not a big investment to try one out). You can kind of squeeze the mat to make it nice and snug. Then just unroll it and slice it into six or so pieces (a very sharp knife will be helpful here) and you’ve made a sushi roll! So that was my fun sushi experiment. Obviously it’s a bit different than the usual fish-filled sushi spread, but it was honestly quite a similar experience to our sushi restaurant visits of yore. I’ll give you the recipes for the five rolls I discussed below – anyone have any other suggestions for awesome fillings I could try next time? What’s your favorite type of sushi? These are so easy I won’t even bother with a formal recipe – roast your mushroom or red pepper under the broiler for 5-10 minutes until nice and browned, then either slice into thin strips or one-inch squares, depending on the look you want. Place a thin strip of nori on a cutting board, add a tablespoon of prepared sushi rice to the middle, and top with your roasted vegetable of choice. 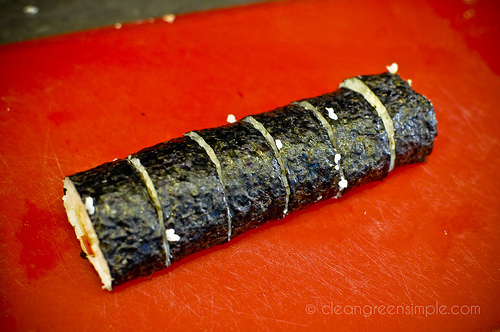 Wrap nori around the outside and seal with a bit of water. Serve with soy sauce, wasabi, and pickled ginger. 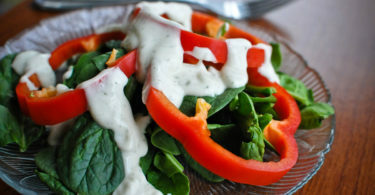 In a blender or food processor, combine red pepper, mayo, and tofu and blend until smooth. 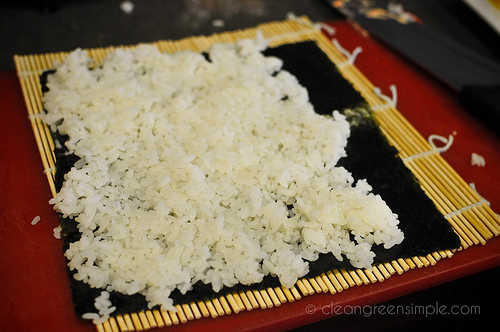 Lay a sheet of nori onto your sushi mat and spread rice over the nori, leaving an inch or two on one side uncovered. Spread a tablespoon or two of your red pepper mixture in a strip down the middle of the sheet, and top with avocado and cucumber. 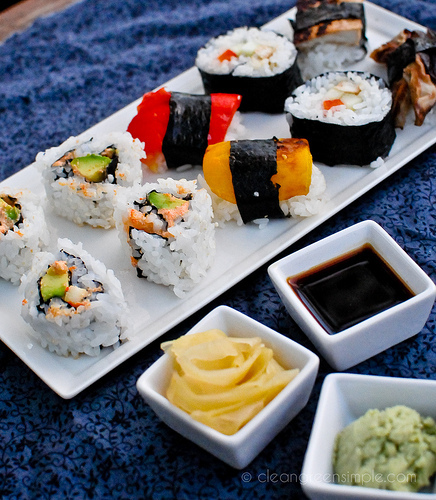 Roll sushi and slice into six pieces. YUM! 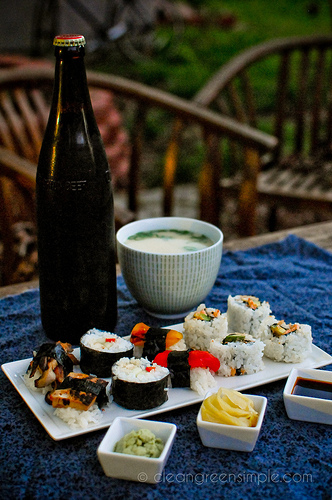 I need to make sushi at home sometime. 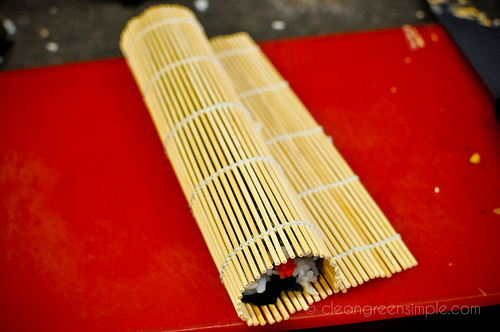 My husband is a newly converted sushi fanatic – soooo exciting! 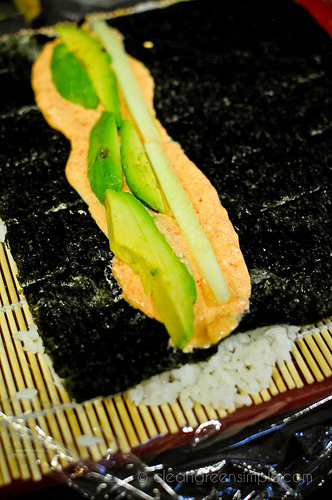 The last time we went out I was a bit bummed I wouldn’t be ordering my favorite spicy tuna, but was surprised by how much I really did love the plain old avocado and veggie rolls. Will be fun to try out a few of my own flavors. I can’t wait to try this! 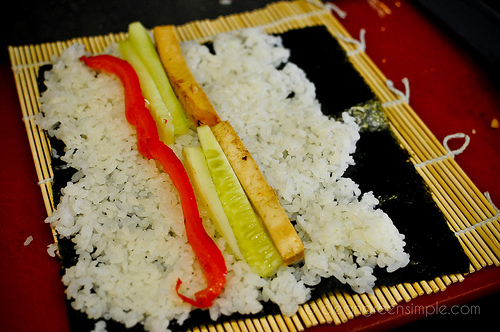 Good sushi is really all about presentation anyway, right? These look so gorgeous and flavorful!!! Thanks for posting! Oh my! I got SO excited when I saw that it was sushi time! I really miss sushi, myself. I crave it. When I get a bigger apartment with a larger amount of (stable) counter space, I can see myself making this spread. YUM! So beautiful! Making this would be a great “date night” with my husband. Thanks for the inspiration! Wow, this is really fabulous and creative. I am sending this post to my daughter. Thanks for sharing! So creative! 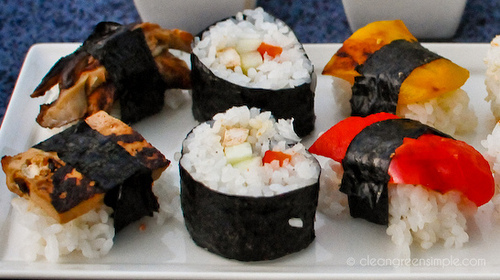 These look just like ‘real’ sushi! I love sushi too. One of my favourite roll fillings is natto (with wasabi). Carrots cooked with small amount of water, sesame oil, soy sauce and mirin is great too. And toasted sesame seeds make it even better. 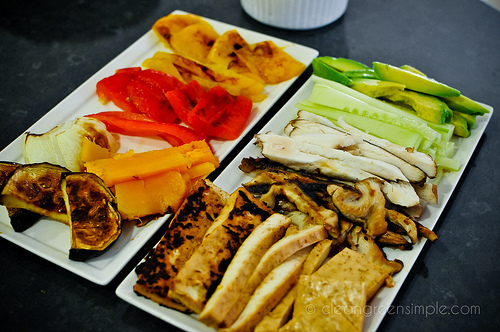 I haven’t had any good ideas for vegan nigiri, but I’m going to try roasted peppers and mushrooms next time I make sushi. Thanks for the wonderful ideas on veggie sushi, I love and miss sushi since turning vegetarian. 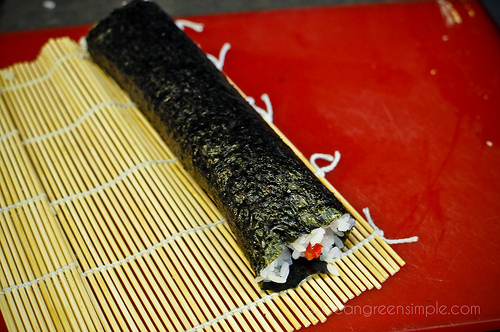 One of my favourites is a small roll like the cucumber roll but filled with ginger instead. these look delicious! love the veg substitution ideas! 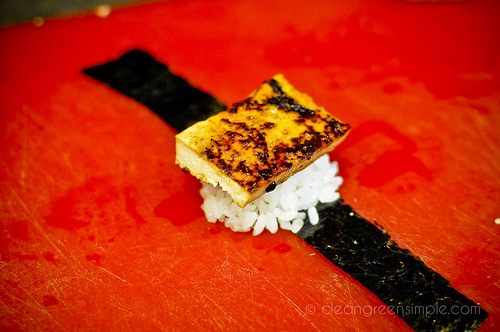 Great article on vegetarian sushi. We recently wrote a post on our blog to inform our readers the versatility of vegetarian sushi and that vegetables is one of the central components that make up this dish! 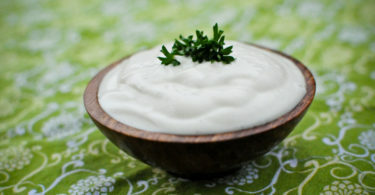 We linked your article on our blog post. 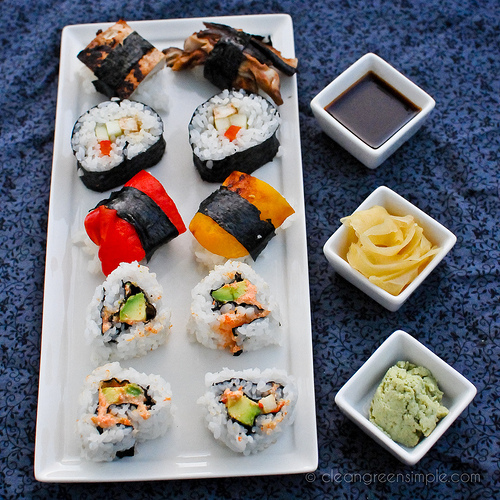 Check it out here…http://blog.discoverveggie.com/vegetarian-blog/sushi-betcha-ya/. Great info for vegetarians! I will def try your tips this weekend.